A pair of new cybersecurity bills passed in Russia could be interpreted as a sign Russians shouldn't expect any push for liberalization under President Vladimir Putin's fourth's term, says Lincoln Pigman. "Certainly, when it comes to these bills, I think they indicate that there is no liberalization coming in the future," Pigman, a master's student in Russian and east European studies at the University of Oxford, told Day 6 host Brent Bambury. "If things will change, that change will be for the worse." The laws themselves will impose fines on internet users found guilty of spreading fake news, as well as content that disrespects the Russian government. 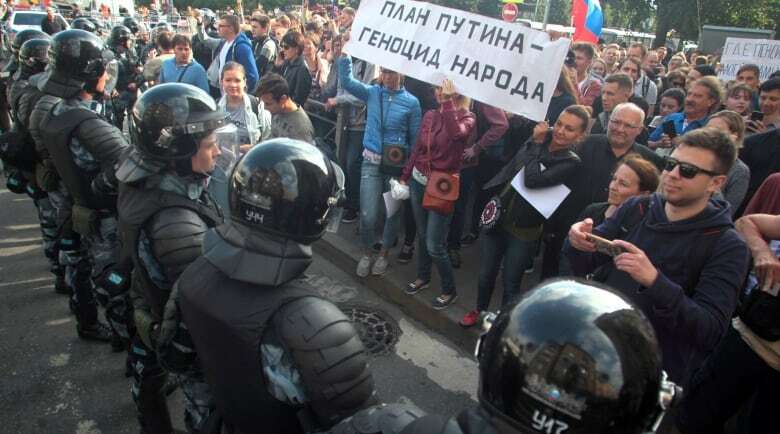 Thousands of citizens held protests in Moscow to voice their opposition to the bills earlier this month, arguing that the bills' vaguely defined rules could be easily abused. Protestors also expressed concern about a third bill currently before the Russian legislature's lower house that aims to create a separate stand-alone Russian internet, comparable to China's Great Firewall. Despite the protests, Pigman explained that these new laws represent a continuing trend in Russian politics, with lawmakers like Putin intent on diminishing internet freedom in the country. 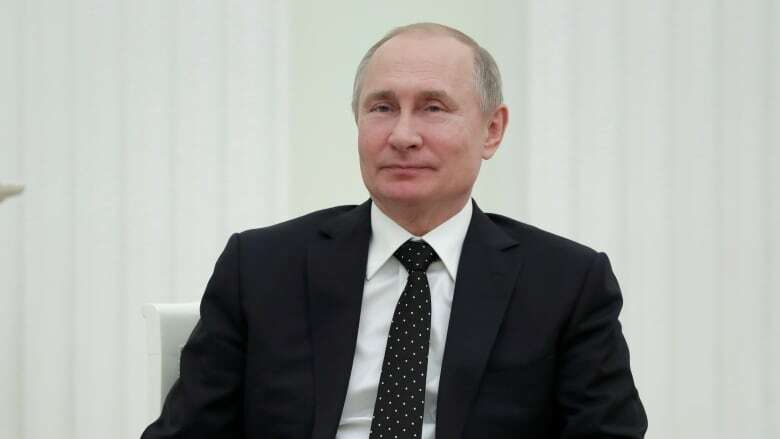 However, Pigman was hesitant to speculate about Putin's plans for the remainder of his current term, as well as his plans for the next general elections in 2024. "Even some of Putin's closest allies have no clue" what to expect from the Russian president, he said. "I think that's intentional, because if you look at the situation from Putin's perspective, he is managing different blocs, different elite factions, and each of these factions wants a cut of the pie." According to Pigman, if Putin were to telegraph his plans, Russia's political elite class would then try to outmaneuver rival factions to their advantage. "If you maintain ambiguity for as long as possible, no one will want to take the risk of acting out if there is a chance that the arrangement that Putin has in mind will actually favour them," he explained. Putin was re-elected on March 18, 2018, winning approximately 75 per cent of the popular vote — his largest election win ever. He's currently in his fourth term as president, and his 19th year of ruling the country in an official or unofficial capacity. As for the Russian people, Pigman suggested that the citizens could be inspired to take action if they felt significantly motivated to act. It's happened before: Russians were incensed last fall when the age of retirement was raised from 60 to 65 for men. "There's a widespread sense by Russians that a social contract has been violated … and that social contract basically involves trading civil liberties and political freedoms … for certain socioeconomic guarantees of stability and protection," explained Pigman. "There's a sense that the government is no longer caring for us and that definitely creates long-term issues." Despite the massive protests against the new and proposed cybersecurity laws, Pigman said most Russians maintain a detatched political attitude. He predicts the occasional flares of anger likely won't be enough to shake Putin's grip on the government, or the country as a whole. "I think the Russian political elite understands that notwithstanding those thousands of Russians ... who protested these laws the other day ... there simply isn't enough resistance or there simply isn't enough opposition to measures like this to worry [Putin]," he said.